Maske: Are the Seahawks still Super Bowl contenders? They didn’t look it in Green Bay. The Seattle Seahawks have some issues. They are supposed to be the main threat to the Dallas Cowboys in the chase for NFC supremacy. They are supposed to be gearing up for a potential postseason run. Instead, they went to Green Bay on Sunday and put all of their problems on vivid display. They committed six turnovers. Five of them came on interceptions thrown by quarterback Russell Wilson. Yes, some of those interceptions came on deflections. But even those deflected-pass interceptions were not entirely accurate throws. Wilson was sacked three times. On defense, the Seattle pass rush was nearly nonexistent and the Seahawks looked a bit lost without safety Earl Thomas. Packers quarterback Aaron Rodgers, dealing with hamstring and calf injuries, was mostly immobile but was sacked only once. He picked apart the Seattle secondary by completing 18 of 23 passes for 246 yards with three touchdowns and no interceptions. He had a passer rating of 150.8. It all added up to a 38-10 Packers’ triumph over the Seahawks. The NFC West race is safe for the Seahawks. They lost. But so did everyone else in the division, and Seattle’s lead over the second-place Arizona Cardinals remains three games. But this is about positioning for the postseason. And the Seahawks, with a record of 8-4-1, have fallen behind the Detroit Lions, who are now 9-4, for the No. 2 playoff seed in the NFC behind the Cowboys. Being the No. 3 seed would mean having to play an opening-round postseason game at home for the Seahawks, rather than having a bye, and then going on the road on the second weekend of the playoffs. The Seahawks’ road record this season dropped to 2-4-1 Sunday. The impact of Thomas’ absence from the lineup should not be underestimated. He is a defensive play-maker and one of the league’s best safeties. The Carolina Panthers struck immediately for a long touchdown last weekend after Thomas suffered a broken bone in his leg. But it’s more than that. He is an emotional leader of the Seattle defense. 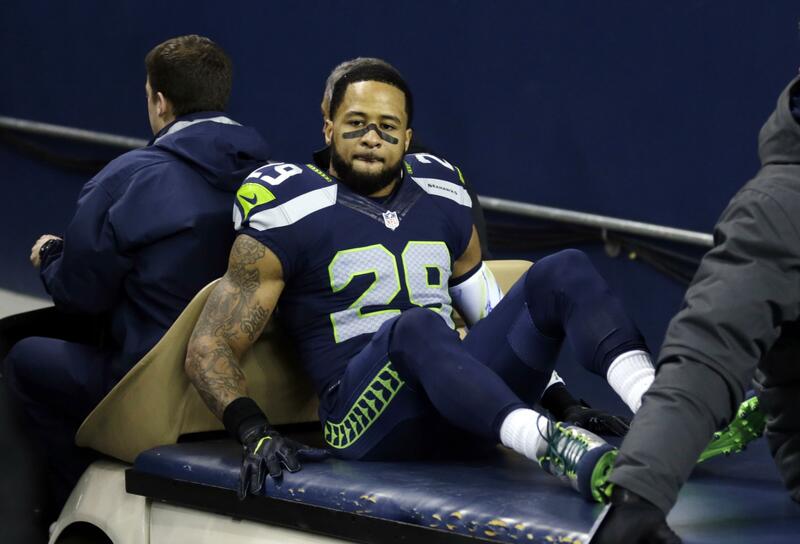 The Seahawks on Sunday lacked the usual edge with which they play. Wilson will be fine. He is an improvisational master and has improved greatly as a pocket passer over the last couple seasons. His receivers undoubtedly will play better than they played Sunday; they can’t play much worse. The Seattle running game was productive against the Panthers and remained relatively productive in Green Bay, even if it didn’t matter. But there is something missing here. There is little to no reason to believe at the moment that the Seahawks can go on the road during the postseason and win an important game or two. Unless they find a way to change that, they will not be a significant factor in the playoffs because the NFC’s road to the Super Bowl will not go through Seattle. Published: Dec. 11, 2016, 10:25 p.m.